I hope everyone has had a great week, but it's Friday and I know we are all looking forward to the weekend. This week a lot of my favorite online window shopping finds are all about floral prints. I just can't seem to get enough of them. 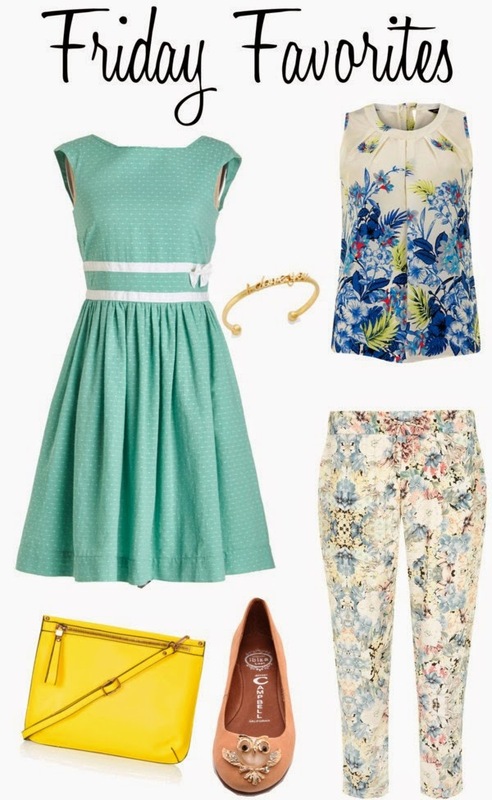 Floral prints are perfect in bright, bold colors and in soft, pastel colors. Don't you agree? Polka dots are another of my favorite prints and I just can't seem to resist a polka dot dress. What about you? And the flats above are just so adorable. Anything owl is cute in my book. I collect a variety of owl items and wear them frequently since my school's mascot is the owl. What have been your favorite finds online this week? Those JC flats are ADORABLE!